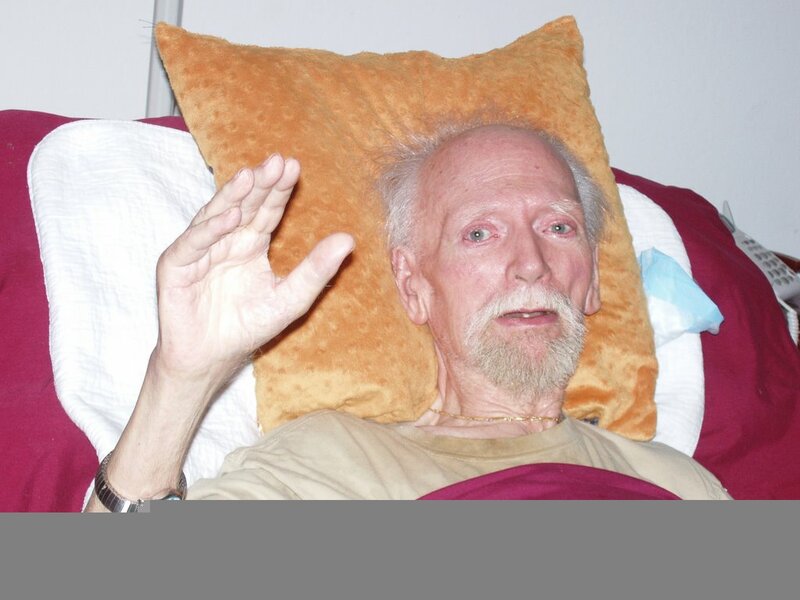 Thanks to the love of all his fans, Robert Anton Wilson has received over $80,000 in donations to help him through these last months of his life. Robert has been such an inspiration to me, that there are no words to express my gratitude for him. Earlier today, Douglas Rushkoff posted a photo of him saying hello and thanks to all of his fans who helped him and have been inspired by his sage wisdom all these years. I was genuinely moved and heartbroken to see this photo, but the light behind his eyes remains as bright as ever.